Lenovo has three new workstations coming in 2016 including a new Yoga aimed at sketchy types. Lenovo announced more additions to its ThinkPad P series on Tuesday, including a convertible Yoga-style ThinkPad geared for folks who need to do a lot of digital sketching. Alongside that there’s also the ThinkPad P50s, which Lenovo says is a “more affordable” workstation that still packs premium functionality in a sleek package. Lastly, Lenovo also added a new desktop called the ThinkStation P310 as a follow-up to the P300 that came out in late 2014. All three new devices are scheduled to roll out in the US before the end of March 2016 and come with Windows 10 (though some models also offer Windows 7 and 8 options). Lenovo has yet to announce local pricing and availability details. Here are all the finer details on each. The sketch-friendly ThinkPad P40 Yoga is Lenovo’s attempt to create a 2-in-1 that's light enough to use as a tablet for sketching, yet powerful enough to handle Windows desktop programs to further develop those sketches. The device features a flip-back 2560-by-1440 touchscreen (transformation pictured at top) with Wacom Active ES technology built-in. 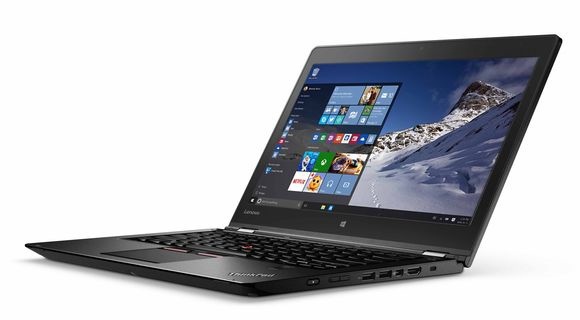 The 14-inch display offers 2,048 levels of pressure sensitivity, according to Lenovo, and comes with a rechargeable ThinkPad Pen Pro. Powering the P40 is an unnamed Intel “Skylake” Core i7 processor, Nvidia Quadro M500M discrete graphics, up to 16GB of RAM, 512GB SSD, three USB 3.0 ports, HDMI 1.4, Mini DisplayPort 1.2, an Ethernet port, a micro SIM slot, and 4-in-1 SD card reader. Lenovo lists the device’s starting weight at 3.9 pounds. Next up is what Lenovo calls its "more affordable workstation," at $US300 less than the list price of its predecessor, the ThinkPad P50. 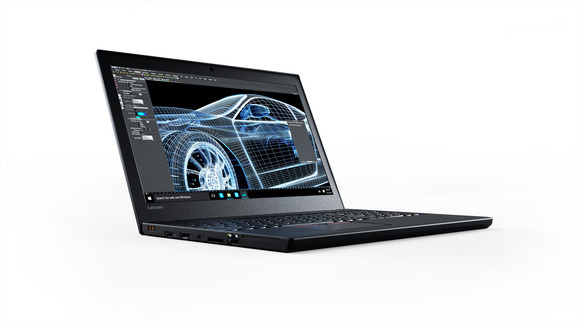 Like the P40 Yoga, the ThinkPad P50s rocks a Skylake Core i7 processor, the same Quardo M500M graphics, and a larger traditional 15.6-inch display with 2880-by-1620 resolution. The P50s can handle up to 32GB of RAM and offers a variety of storage options including a 1TB HDD, a 512GB SSD, and a 256GB PCIe SSD. The ports and card reader are the same as with the P40 Yoga as well. 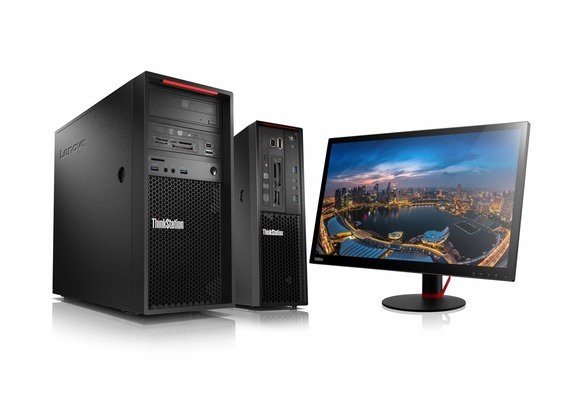 As for the new desktop workstation, the ThinkStation P310 comes in the usual tower and SFF (small form factor) models. Inside, the P310 features an Intel Core processor or the Xeon E3-1200 v5, up to 64GB of RAM, and numerous storage options, including two 3.5-inch SATA slots, a 2.5-inch SATA slot for a SSD, and an M.2 SSD. On the front of the box there's two USB 3.0 slots, an SD card reader, and a 1394 IEEE Firewire port. On the back, you'll find four USB 3.0 ports, a pair of USB 2.0 ports, VGA, two DisplayPorts, and Ethernet. The workstation comes with four internal PCIe slots: one x16, one x4, and two x1. Pricing for the P310 starts at $US729.